Sick of constantly taking out your passport when traveling through the airport? If you’re flying international out of Atlanta, you’ll soon be able to just use your face. 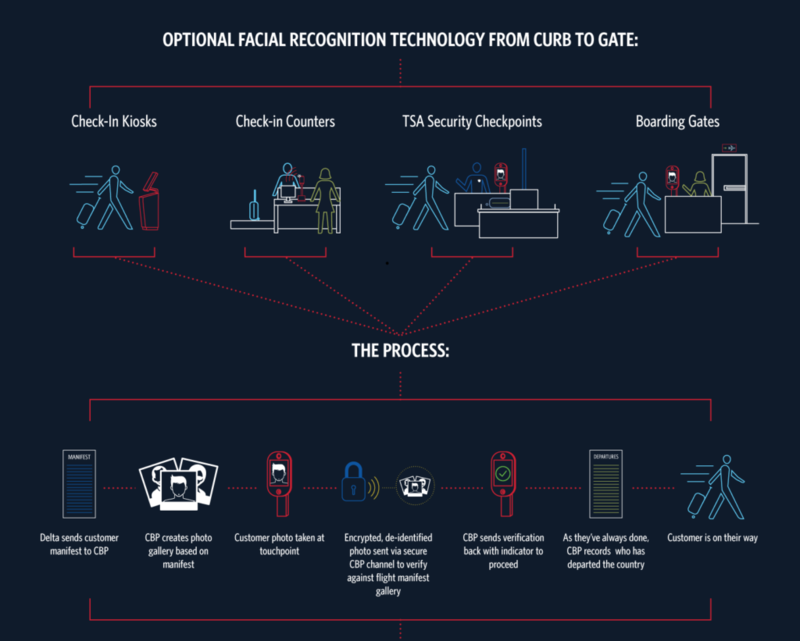 Delta plans to use facial recognition technology to get you through airport checkpoints quicker. They’ve teamed with the TSA and U.S. Customs to bring America’s first biometric terminal to Hartsfield-Jackson Atlanta International Airport. 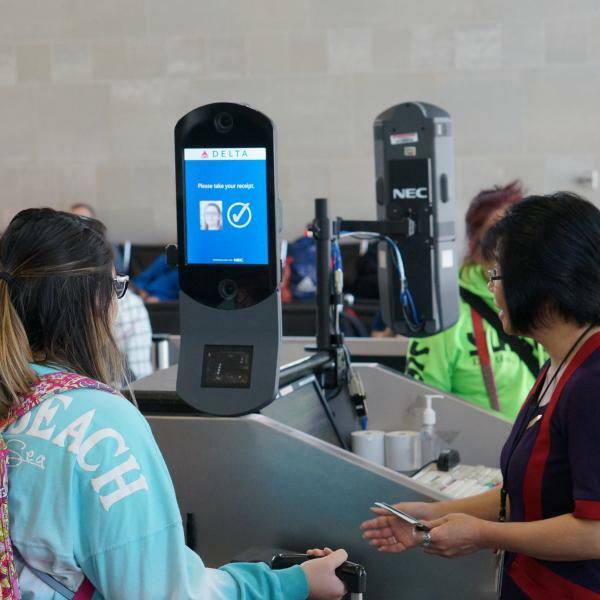 Delta’s Terminal F will use the facial recognition technology at self-service kiosks, luggage drops, TSA checkpoints, and flight boarding areas. The process is simple. Travelers will check in normally online or at the airport. At each checkpoint, they will look at a screen or camera which then verifies their identity. Once verified, a green check flashes on the screen and the customer goes through. While customers won’t have to constantly take out their passport, Delta advises they should still bring the document for the remainder of the trip. International travelers entering the U.S. will be able to use the technology when they arrive at Customs and Border Protection. Delta feels the tech will save time and cut down on the chaos at the airport. It will also free up their employees to have more meaningful interactions with customers. The Delta Biometrics service is completely optional so if customers don’t wish to participate they just proceed normally through the airport. The service launching later this year will also be available for those flying partner airlines including Aeromexico, Air France-KLM, and Virgin Atlantic Airways. If successful Delta plans to use the technology at more airports around the globe.